`Policy 6.4 is concerned with Prohibited Bias, Discrimination, Harassment, and Sexual and Related Misconduct. There are currently three procedures associated with the enforcement of this policy. The one that is relevant depends upon who is being accused: student, staff, or faculty . Bring Cornell’s procedures in line with contemporary federal and state requirements. Enhance the procedural protections afforded to both parties. The table below summarizes those parts of the proposed policy that specifically relate to faculty. As will be noted, in almost all cases, the new Policy 6.4 enforcement procedures represent either no change from existing practice or constitute an appropriate improvement in the support and protection afforded to faculty while also offering corresponding enhancements for complainants. The one arguable exception is that the procedures extend the general statute of limitations for filing of complaints from six months to two years, but this lengthening is unquestionably warranted by all the now well-understood impediments that may delay a complainant’s decision to report misconduct (e.g., a doctoral student still in the faculty member’s lab). Investigation No specific provision for exchange of information collected during investigation; practice of providing supporting information with final report Adopted procedures from student procedures; complete transparency of information collected; opportunity to review during course of investigation and propose questions and topics for investigation; provision for commenting by both parties before the report is finalized. Opportunity to Comment Parties have opportunity to comment on final report before Dean issues decision. No change. Additional Appeal of Sanction under University procedures Faculty may challenge a sanction issued in the process under college and University procedures No change. it is not clear who this “faculty panel” consists of and how many members this panel will have (within department, within college, outside college). During the investigation, will the transparency of procedures (although not a bad thing) prohibit others from coming out due to fear of retribution. Will “whistle-blowers” be protected? Will have to read the 38 pages of the policy to see what it means by “cannot be appealed” if judged to fall within academic freedom. Extending the statute of limitations to 2 years is a bad idea. Memories fade, witnesses graduate and leave, and the stories become embellished in witnesses’ imaginations, and a fair process becomes impossible. Not to mention a delayed punishment is not as effective, as the link to the behavior is lost and even forgotten. Instead we should encourage accusers to come forward immediately, protect them from retaliation, find them an alternate advisor or lab, and in general provide support services. After all, who wants to continue to work in a lab where they are harassed anyway. This 6.4 proposal is nothing short of an outrage. I have long criticized the fact that the faculty gets a clear&convincing standard, but the students do not. Well, that discrepancy is gone, but so is every other protection that the faculty had. The drafters say they are doing this to comply with federal requirements, but those requirements are gone. This proposal would install a Star Chamber procedure. The investigator gives the decision. That is what they previously did to the students, but in 2016 CU gave a hearing right to students. This draft procedure GIVES NO HEARING ! Indeed, it gives no procedures at all for how the investigation is to proceed. It says nothing about the standard of proof, except for one passage picked up in the cut-and-paste of offenses. (“If the fact finder determines based on a preponderance of the evidence that both parties were incapacitated, the person who initiated the sexual activity alleged to be nonconsensual due to incapacity is at fault.”). This is an incredible document. Somebody has a lot to answer for. The faculty should fight this with everything they have. Demand that the drafters go back to the drawing board. The faculty should have at least the protections that the students have. The individuals chosen to serve on the Appeal Panel will be disclosed to the parties. If a party believes that they have a potential conflict of interest with an Appeal Panel member, the party should notify the Title IX Coordinator. The notification must be in writing, made within two (2) business days of the notice and include facts substantiating the claim of conflict. The Title IX Coordinator has discretion whether to remove a member of the Hearing Panel. This decision is not subject to appeal. The language is patterned after what has been used successfully in the student procedures. I agree with Professor Kevin Clermont’s objections to the proposed revisions to Policy 6.4 procedures for faculty (see, link on this web page to Prof. Clermont’s objections). The proposed revisions eliminate all hearings that are provided to faculty under the current Policy 6.4. Eliminating these hearings violates fundamental rights of faculty to have a full and fair hearing by their peers. A hearing, including the right to testify and call witnesses before a faculty panel, is an essential part of due process. A full hearing is necessary to evaluate witnesses’ credibility and to assess the reliability and weight of the evidence. Such a hearing is especially important to provide due process to a faculty member facing potentially severe professional sanctions, including suspension or dismissal. Instead of an evidentiary hearing by a panel of faculty peers, the proposed revisions to Policy 6.4 would hand over the process to an administrative investigator to unilaterally investigate, make findings and submit a recommended conclusion to a dean of whether the faculty member has violated Policy 6.4. Comparing the proposed revisions with the current Policy 6.4 procedures shows how egregious the proposed changes are. The current Policy 6.4 provides faculty members with a hearing before their peers. Where a complaint arises out of a “subordinate-supervisory relationship” between a faculty member and a student (e.g. teaching, advising, research, graduate committee) or where a case raises issues of academic freedom, a full evidentiary hearing is held by the Faculty Senate Committee on Academic Freedom and Professional Status (AFPS). In any other case, a grievance hearing is held under the College-level academic grievance procedures. The proposed revisions to Policy 6.4 would eliminate any and all of these hearings. Although the AFPS could dismiss a case if it finds that the faculty member’s speech or conduct is protected by academic freedom, the faculty member has no right to a hearing before the AFPS. Further, if the AFPS determines that there is no academic freedom concern, the AFPS’s role is over. At this point, an administrative investigator takes over, unilaterally conducts an investigation, and makes findings and a recommended determination to a dean of whether the faculty member has violated Policy 6.4. A faculty member may appeal to a faculty panel from a dean’s decision and imposition of sanctions, but this appeal does not include a hearing before the faculty panel. 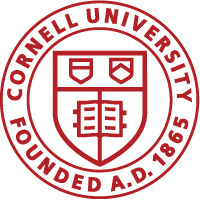 The proposed revisions also eliminate the right to hearing before suspension or dismissal as adopted by the Faculty Senate and the Board of Trustees in 2007 (see, Chapter 4.3 of the Cornell Faculty Handbook).